Installation on view March 5-12. 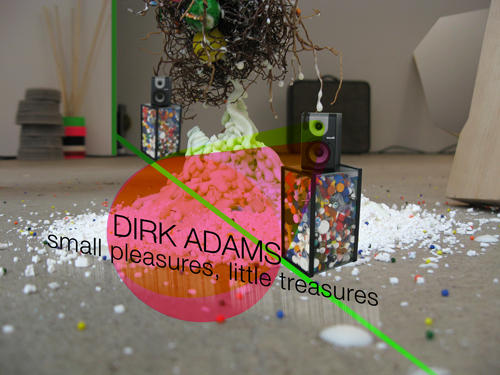 Dirk Adams creates work in a variety of media including performance, sound, and installation. Adams' work is concerned with language, memory, and culture, and frequently investigates current events, popular culture, and politics.